The Oakleigh East house has an inspired design by one of Melbourne's leading architects which spans 4 levels. 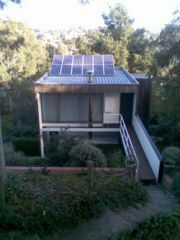 The home was built in the 1980s and was ahead of its time for sustainable features. This page was last modified 16:41, 26 July 2008.